The story is complete. It looks like a last day sub again. Maybe I just like the thrill of a close finish. Still unknown - get me while my stock is low! Last day! As Tim Gunn says on Project Runway: "Make it work!" I'd go to an agent because the three biggest sci-fi pubs don't accept unsolicited material. But self-publishing and small press are fine options too. I was told by someone in the industry that if you have a fair number of reviews on Amazon (20+ reviews), then an indie book can help you get a deal. Indie books yield more money per sale, but don't generally sell the numbers. Brick and Mortar bookstores came back some more this year. Big pubs have subsidiaries with trained translators in all the major language markets. Anyway, I got one in this quarter. Dusted off from my second entry ever, which got a big R.
I think I've honed enough up for a 5th Hm. here's hoping! GruffbaneJoe wrote: I think I've honed enough up for a 5th Hm. here's hoping! Awesome sauce on that Gruff. I'm still stuck on one HM. I'm in for Q1. Best of fortune fellow forumites. Has the site had any trouble closing to submissions yearly this year? I haven't posted in over a year and the last two times the quarter closed several hours early due to a glitch in on the site. I am cutting it close, yet again, an worried. JVAshley wrote: A little pre-fretting here. There’s always some issues in the last few hours due in large part to time zones, I think. If possible, try to get your story in before midnight EST and you’re usually fine. I just sent in mine. Got the first confirmation E-mail. I am glad I went over it once more. Found a couple of repeated words and left over words plus I think I made a couple of sentences more understandable. And thinking of the no name thing I almost forgot to format the manuscript correctly. But got that down, but oops, I am not sure I did that for last quarter's story. I may have just sent it in with a format. Too far back I can not remember. But as I said it's in. As usual I think it is a solid story. Will Dave, or any other editor, think that? A couple of times he thought something was good my story. michaeljwyantjr wrote: There’s always some issues in the last few hours due in large part to time zones, I think. If possible, try to get your story in before midnight EST and you’re usually fine. LDWriter2 wrote: I just sent in mine. Got the first confirmation E-mail. I'm in with a fresh story! vsutherland01 wrote: I'm in with a fresh story! GruffbaneJoe wrote: I'd go to an agent because the three biggest sci-fi pubs don't accept unsolicited material. But self-publishing and small press are fine options too. Just submitted! Best of luck to everyone! I don't normally mention when I submit but this one is special. Unsatisfied with other stories for this quarter, I spent eleven hours over two and a half days to write a shiny new one. It's the second one I've cooked, start to finish, in under three days. The last one received an HM. Good luck all, and Happy New Year! Here's toasting to those who are going to win in Volume 36, and as of this moment, don't even know it. Ooh, I gave myself chills. I'm in as well. I skidded in under the wire at 11:59 and received my confirmation email within the same minute. It was a 3 day fresh story, too. Mainly because I wanted to play in the sandbox, too. It's just more fun to watch the results roll in when you have a story in the pile. That's a nice set of honors you have in your signature, Alicia! You know what that means, and it's proof positive you should never surrender, never give up! And that goes to all. Congrats for entering! One thing is for sure: If you don't enter, you cannot win! Submitted to this on Monday. Spent about 20 days on it. I think I'm going to revise an old R to submit for Q2. Congrats to everyone who entered. Don't give up, and you can definitely win this thing! And y'all have a leg-up from most others, because pretty much every year, at least one forumite wins. Usually more! This is the place to be. Good luck, all! Hey, does anyone know where WotF publishes the quarterly results? Dragonchef wrote: Hey, does anyone know where WotF publishes the quarterly results? Yep! They post it to their blog. Thanks Michael. Bummer that the stats for Q1 V36 aren't available yet. [sigh] Too anxious, I guess. Dragonchef wrote: Thanks Michael. Bummer that the stats for Q1 V36 aren't available yet. [sigh] Too anxious, I guess. Heh, yep. We'll all find out together. Folks post here pretty quickly when they get their results, so if you have email notifications turned on for this thread, you'll know almost immediately when results go out. Heh! Yeah, just went to the WotF FB page. Results for Q1 won't be published for another 3 months. So, in the immortal words of Captain Hector Barbossa, "What are you lookin' at? Back to work!" 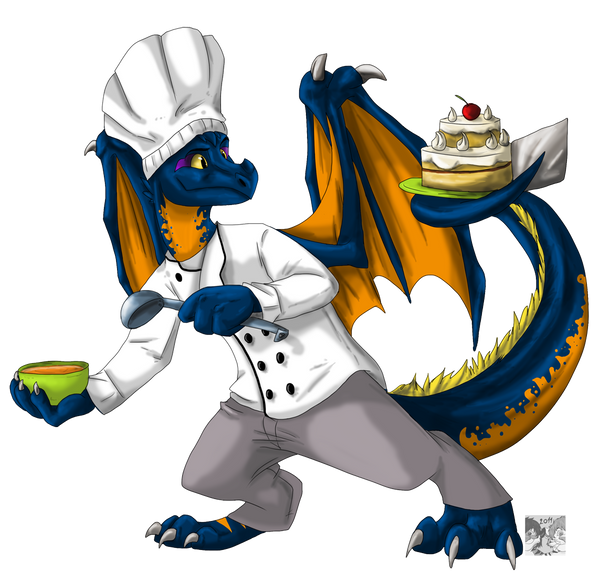 Dragonchef wrote: Heh! Yeah, just went to the WotF FB page. Results for Q1 won't be published for another 3 months. So, in the immortal words of Captain Hector Barbossa, "What are you lookin' at? Back to work!" I guess I forgot to check in here, but I submitted my story on December 31st--I didn't accomplish my goal of not submitting on the last day, but at least I managed to get it in!